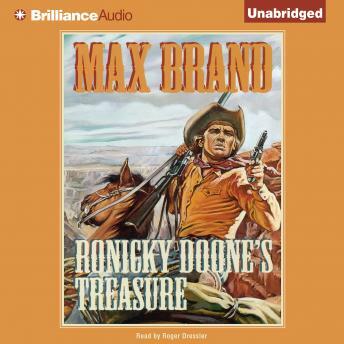 In the black darkness of night, Ronicky Doone overhears the plans of Jack Moon's ruthless gang of cutthroats to kill someone named Hugh Dawn for deserting the gang. While Ronicky doesn't know Hugh Dawn or Jack Moon, he is always ready for adventure. With the aid of his trusty, well-trained horse, Lou, he outraces Moon's gang and successfully warns Hugh Dawn of his danger. Hugh and his gentle daughter, Jerry, accept Ronicky's help and flee with him after Ronicky prophetically says, "I'm one of them with nothing on my hands but a considerable lot of time and an itch for action. Seems to me that there may be some more action before this game's done and over."